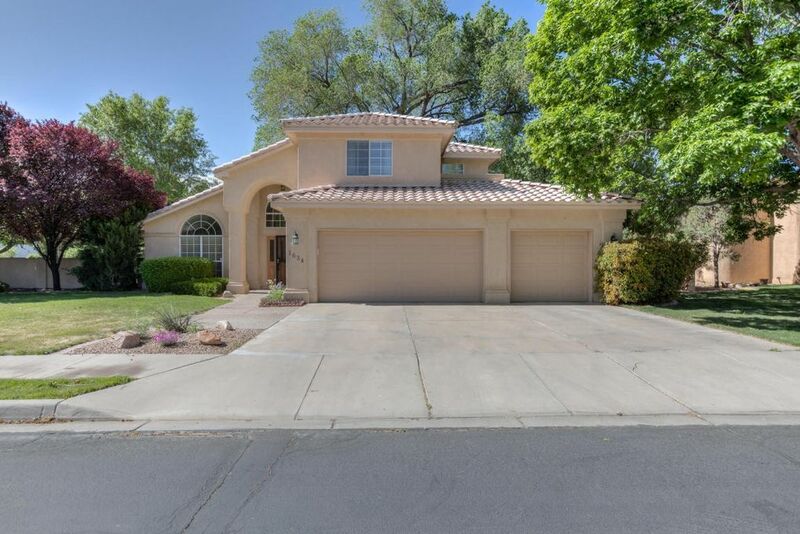 Under Contract Taking Backup Offers Lush living in Albuquerque's gorgeous North Valley. Come home to this green oasis in the desert. Wonderful gated community with high end homes sits near the Bosque, with tree lined streets. Spread out in this nicely updated family home. Kitchen opens up to family room and has stainless steel appliances and quartz countertops. Bar for extra seating and gorgeous 24'' tile floors. Beautiful wood floors in living and dining areas. Master suite has his/hers walk in closets with custom built ins, and private balcony. Backyard is AMAZING with greenery everywhere you turn, play gym for the kiddos, beautiful patio, hot tub and the most EPIC tree in the neighborhood. $30k upgrade to heating/cooling system in 2016.